Photo: Children at one of our orphan homes are happy to be on break, but eager for the new school year which begins in just a couple of weeks in Myanmar. 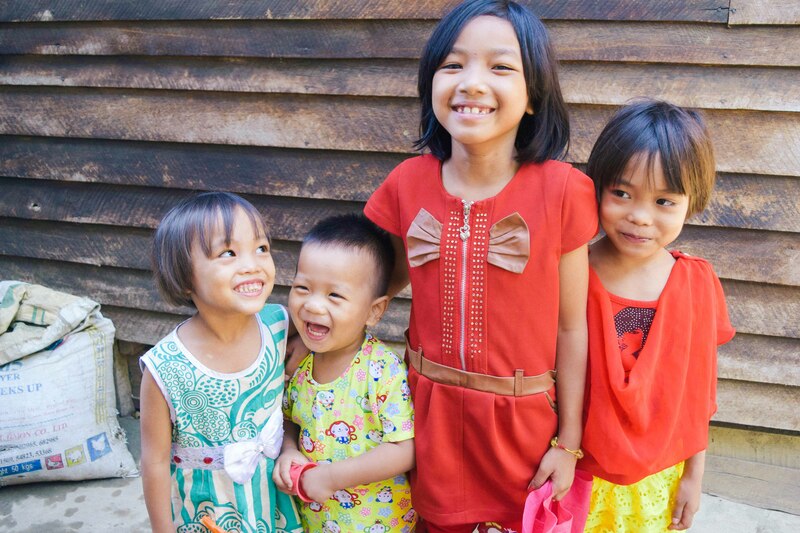 Today our native Myanmar team shares these requests: before the general school year begins in May, they need to buy new clothes, umbrellas, books, and other school supplies for 140 children under our care in the four different orphan homes they oversee. We also hope to raise enough funds to build a small wing (384 sq. ft.) at the back of our main orphan home for our Myanmar director and his family’s own private quarters. Currently, he, his wife and biological children are all sleeping in one of the common rooms of their home — they are spread between one mattress and some floor mats in a very tiny multipurpose space. We are eager to complete this construction for them. They have lived sacrificially while we have addressed other critically urgent projects first. However, they are not just looking for handouts. Our team operates a farmland and a drinking water business, and grows most of the rice and many of the vegetables for the orphan home pantries. Yet now they are looking for new ways to expand their entrepreneurial efforts in support of the children they serve. Most recently, they have come up with a creative solution to a challenge at our former piggery. Our Buddhist neighbors have built a new pagoda next door, and so culturally it is not acceptable to have a piggery near a Buddhist place of worship. Out of respect for their sensitivities and our wish to maintain peaceful relations with our neighbors, we have plans to dismantle our old piggery structure and build a home rental property on the same plot. We would like to begin the construction as soon as possible, with hopes to complete the new home in June. 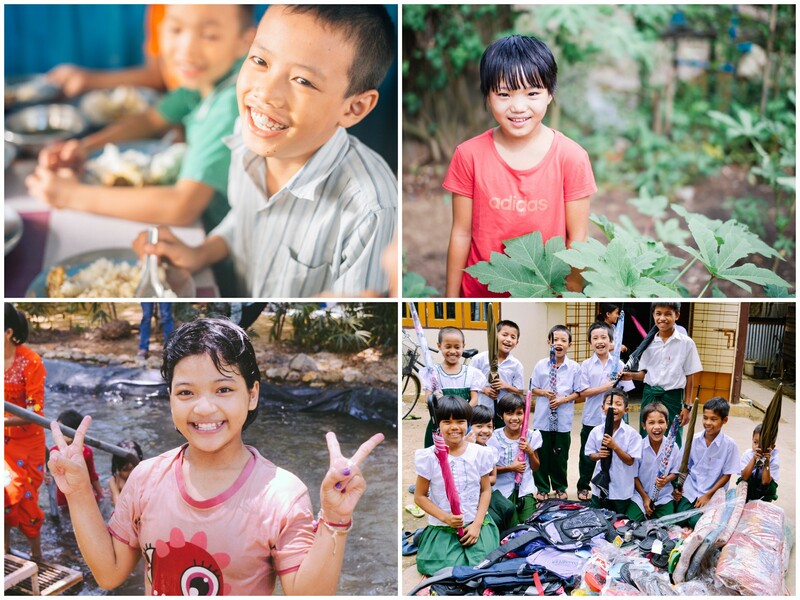 Photo inset: (Top-left): The rice grown on our rice paddy farm provides food for our orphans. (Top-right): Our team also has a garden which provides nutritious, organic ingredients for the children’s meals. (Bottom-left): The children in our orphan homes were thrilled to recently attend a Water Festival Camp. (Bottom-right): The children in our orphan homes will be starting school soon and will need new uniforms and school supplies. With your support and generous contributions from our donors, we hope to raise $6,500 which would enable our faithful team to charge $150-200 in monthly rent, providing them a funding generator close to $2,400 annually. The investment would pay for itself in just 3-4 years. This additional funding generator will be added to our list of other small business enterprise operations: our 12-acre farmland enterprise consisting of a rice paddy farm and a garden where we cultivate organic, nutritious ingredients for the children’s meals, and our new water purification business — we are providing safe, clean water to our neighbors and residents in the surrounding area. We are selling the equivalent of about $50 per month from drinking water, which represents about two week’s worth of average wages in Myanmar. We also desire to raise hens for egg production because they will be a beneficial addition to our farmland enterprise, and provide a good profit at market. The profits and fresh produce from all of our small business ventures allow for better resources for our children’s education and nutrition needs. The general school year resumes in Mid-May, but we are still in the process of submitting our application to start a new preschool we mentioned in a previous report — we hope that classes will begin in the first part of June. While also providing valuable education to our orphan home children, the preschool will give us another step toward sustainability for our programs by receiving tuition payments from neighborhood families who can afford to pay. We also hope that the preschool will help our team build more harmony with neighbors in the community. We will initially have 20 students (ages 3-5 years), 2 teachers, and 1 staff member who will function as a teaching assistant and a cook. Our goal is to reach as many children as possible in the future, with a 1:10 ratio of teachers to children. Another part of our vision is for the preschool to solve the problem of unemployment among teachers in our local community as we are able to hire more teachers and staff. To conclude today’s report, the children were thrilled to recently attend a Water Festival Camp. They met up with the children from our other orphan homes for games, songs, skits, meals, and other VBS-style activities. It was a great blessing for the children, providing refreshing encouragement in their lives. As always, we are grateful for your prayers and support of our work.